>>1. 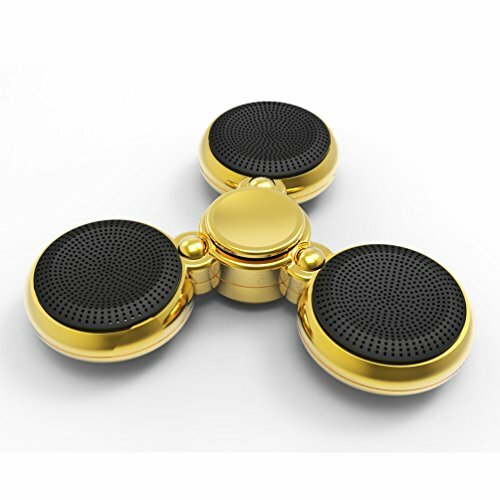 "Hands-Free-Call Spinner"- Unique new design, there is a HF microphone included, so that you could answer your cellphone with this spinner, completely become a portable wireless bluetooth speaker, pocket loudspeaker for your cellphone and laptop, hold the button switch 1 second to start phone call. (Find metal type in "Promotion"). >>4. "Unique Shape Safe Toy"- Fashion model design, round edge will not hurt your finger, there is no tiny components and bearing ball will not go out, so don't worry your child will not eat it. Surface is dull polish process, good touch feeling and durable.